RETRO KIMMER'S BLOG: LOCAL DJ PETER C HONORED AT OHIO RADIO DJ REUNION! LOCAL DJ PETER C HONORED AT OHIO RADIO DJ REUNION! Tuesday night’s gathering of longtime local disc jockeys was to be an “informal Toledo radio reunion” of friends, former colleagues, and casual acquaintances of Peter Cavanaugh. It’s only fitting, then, the reunion turned into a celebration of this former Toledo radio broadcasting executive, the one who brought them together this night at Manhattan’s Restaurant in Uptown, and for many, the man who gave them their first big industry opportunity. 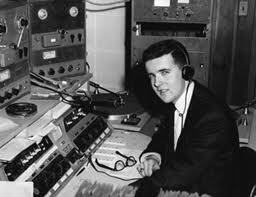 Five years later, it was Mr. Cavanaugh, then-executive vice president and chief operating officer of Reams Broadcasting when it owned WIOT-FM, 104.7, and WCWA-AM, 1230, who paired Mr. Benson with a Flint radio talent he’d never met, Jeff Lamb. The duo successfully anchored WIOT’s mornings as Jeff and Mark, “The Dawnbusters,” in the early 1990s. “He saw [the chemistry] . It was just one of those things that worked,” Mr. Benson said. “I don’t think I’d be doing mornings without him. In my opinion LOCAL DJ is one of the very BEST and ACCURATE books on rock history! Click below to get your copy! !